Vice President Mike Pence on Tuesday directed NASA to return humans to the surface of the moon within the next five years, using either the troubled Space Launch System (SLS) rocket or a rocket from a private space company. "It is the stated policy of this Administration and the United States of America to return astronauts to the Moon within the next five years." Why it matters: Returning humans to the moon, establishing a permanent human presence there and then launching Mars missions is the Trump administration's vision for the next iteration of American space exploration. It's also ambitious, and a timetable that's likely to slip. Details: "We're actually being told the earliest we can get back to the moon is 2028," Pence said, referencing new information about the SLS program's timetable. "Now that would be 18 years after the SLS program was started, and 11 years after the president of the United States directed NASA to return American astronauts to the moon. ... That's just not good enough," Pence said. While SLS would be the most powerful rocket ever built by the agency and is designed for deep space missions, it's years behind schedule and well over budget. The intrigue: Pence took a swipe at Boeing, the primary contractor on SLS, by saying the space agency needs to look for other launch solutions if SLS delays continue. "To be clear, we're not committed to any one contractor. If our current contractors can't meet this objective, then we'll find ones that will," Pence said. Boeing is already reeling from two fatal crashes of its best-selling Boeing 737 MAX series aircraft. 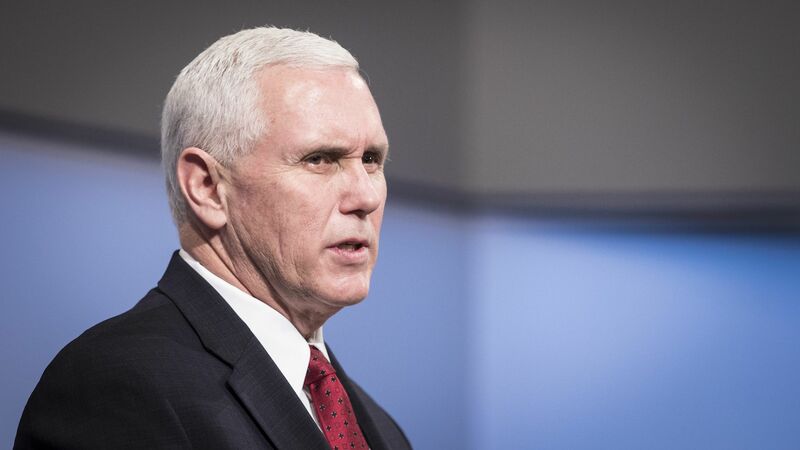 Between the lines: Pence, who chairs the U.S. Space Council, spoke at the U.S. Space and Rocket Center in Huntsville, Alabama, the primary center of the SLS program. He also hinted that changes are in store for NASA's structure and goals to better ensure milestones are reached on time. "As you will hear in these recommendations, we will call on NASA not just to adopt new policies but to embrace a new mindset that begins with setting bold goals and staying on schedule," Pence said. NASA administrator Jim Bridenstine recently floated the idea of using commercial rockets, such as those from SpaceX, to bring astronauts back to the moon. Pence hinted that may be needed if SLS isn't ready. NASA has also selected a new lunar destination: the moon's South Pole, where astronauts have not yet visited. Reality check: Returning astronauts to the moon within 5 years is an extremely ambitious goal, and one that may be impossible for NASA to meet given the status of the SLS rocket. In addition to overcoming technical hurdles, achieving this 5-year goal would also depend on adequate funding from Congress as well as the re-election of President Trump, since a Democrat in the White House could redirect NASA starting in 2020.